I’ve implemented this solution based on information provided in the following blogs – credit to these people for posting this information. The new process involves the more contemporary approach of doing a completely automated build and capture in one process with MDT performing any additional changes using scripts and additional steps. The session that Johan presented is in my view the best by far that I have seen. One thing that wasn’t covered was how to remove the built in Windows 8.1 Modern Applications. 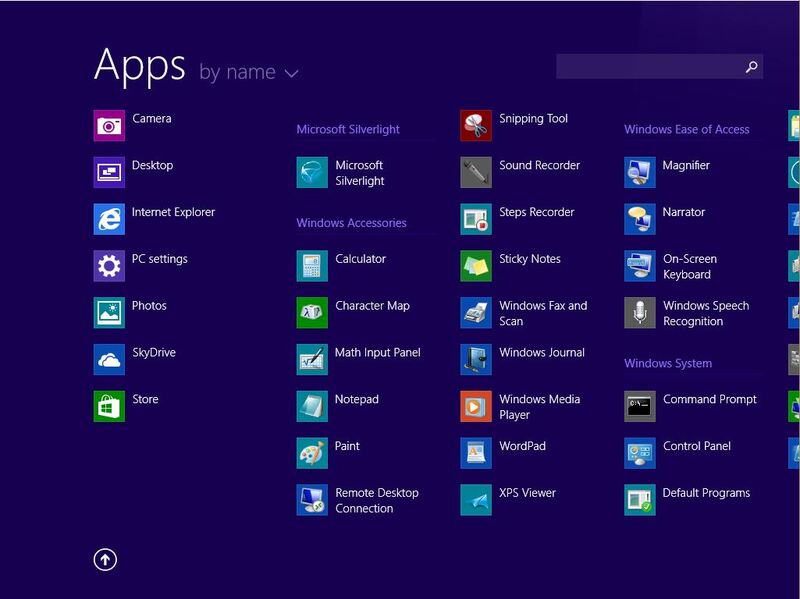 In my case (like many others) we are deploying Windows 8.1 and do not wish to have all of these applications available. 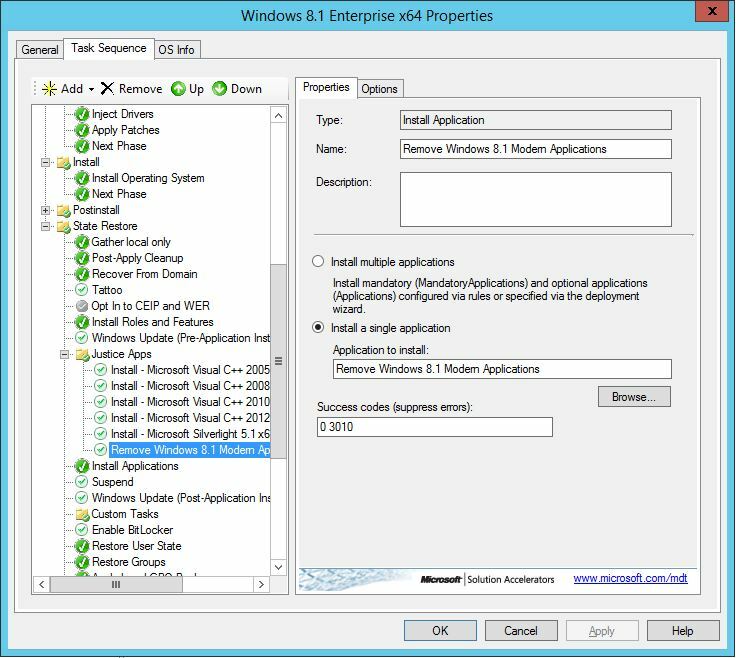 Here is a solution you can implement which will remove these apps as part of your MDT or Configuration Manager Task Sequence. My example will be in MDT 2013. Firstly create a new powershell script from the this blog, you can amend the script as required so that it only removes the applications that you want. Alternatively I have copied the script syntax into a word document here removemodernappsnew – please make sure that you edit this script in Powershell ISE to confirm that there are no syntax errors. Copy the script to your MDT server sources folder. 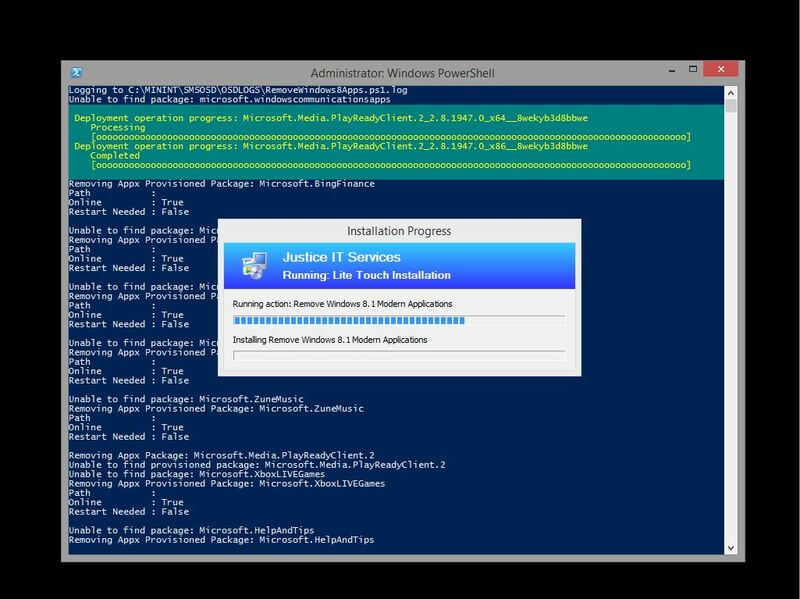 Note you will need to adjust the path to your powershell script depending on how you setup the application in MDT. 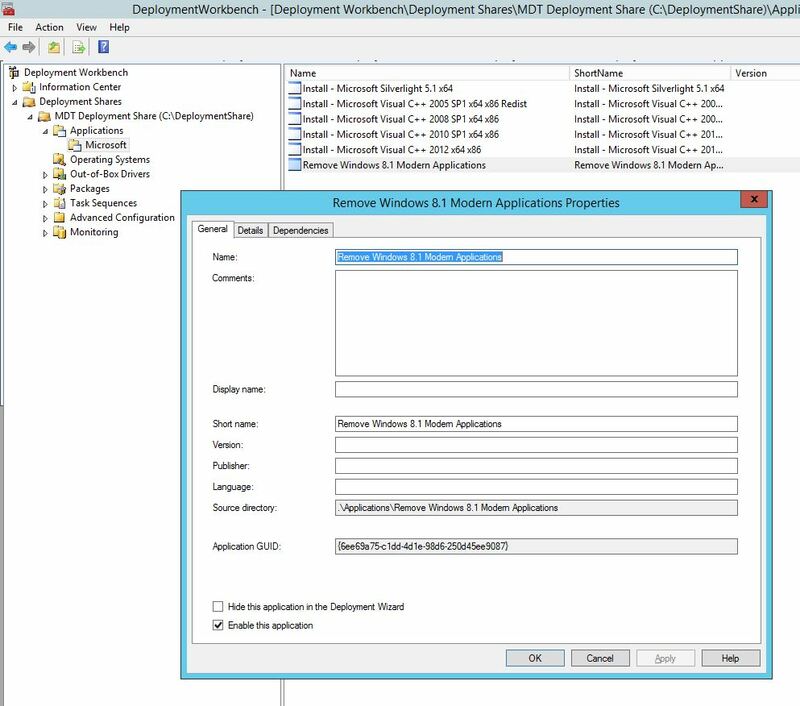 Now just add an install application step in your existing MDT / Configuration Manager Task Sequence, its that easy. 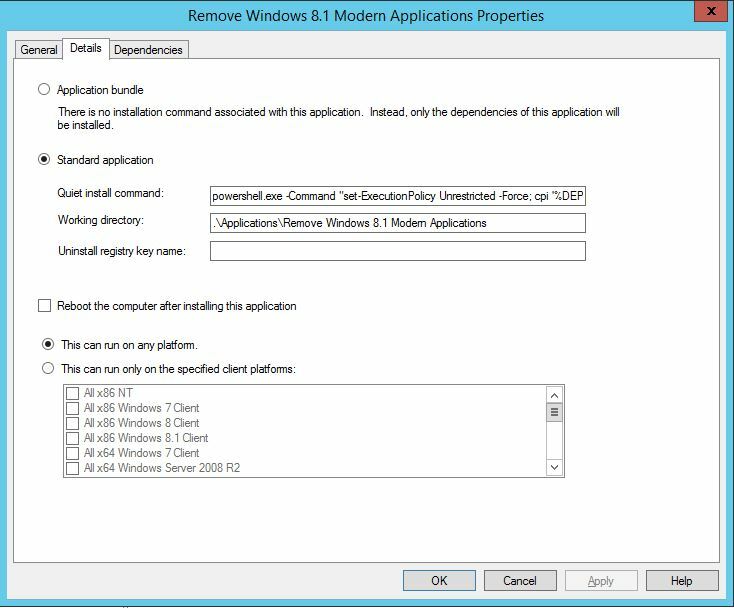 If you implement a Suspend action in your MDT Task Sequence you can check that the apps have been removed. 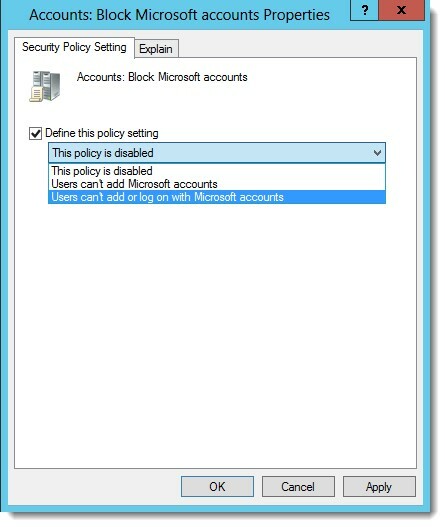 Recently I’ve had to tweak our Windows 8.1 Group Policy following the deployment of some Surface Pro’s. I noticed that a few people were attempting to link their personal Microsoft Accounts with these devices, in addition to this we had a call from someone who had uninstalled the modern Camera Modern App (somehow). I’ve stripped pretty much all of the modern apps out of our corporate image but this one was left installed for obvious reasons. Someone else had also reported that they had a weird Internet Explorer browser, looking at this they had done a search in the new interface which returned Bing Internet search results, these opened up in the modern Internet Explorer App and not the desktop version even though I have a policy configured to load the desktop version. 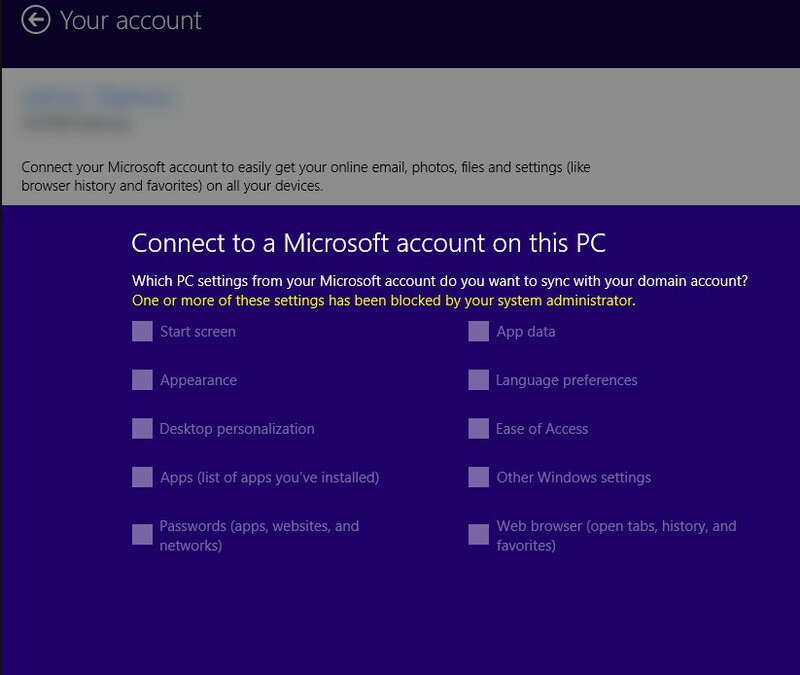 I already have the Windows Store turned off with Group Policy. 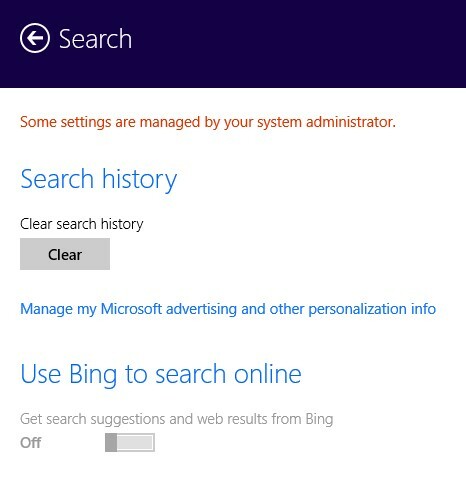 I’m using a WMI filter to target the Group Policy at Windows 8.1 Operating Systems only.